Some of the High Five Events staff were chatting about bikes the other day during lunch. Then the inevitable happened: we started reminiscing about our first real bike. For some, their first real bike experience took place many years ago. 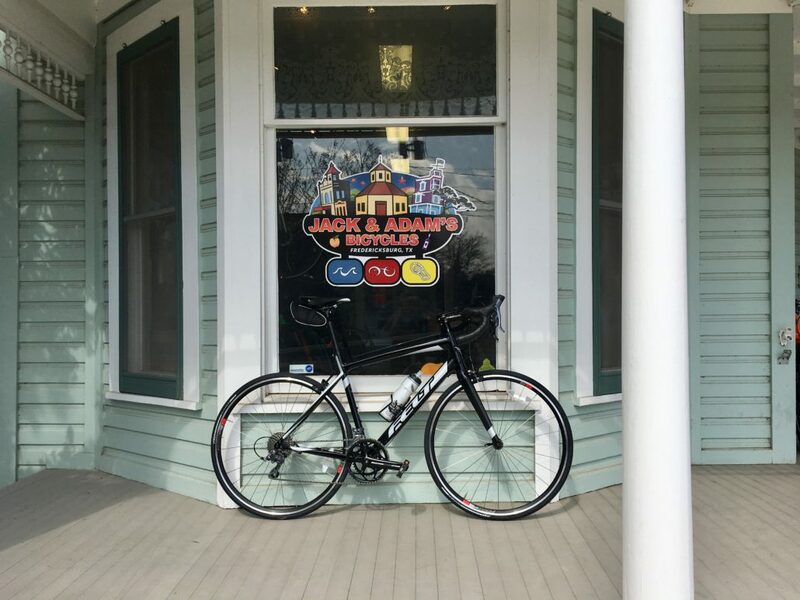 One staff member purchased their first real bike earlier this year. One thing remained constant: everyone remembered their first real bike vividly. Read about our first bikes and their corresponding stories. Let this blog take you down memory lane, conjuring memories of your first real bike. Then share that experience with us on Facebook, Twitter, or Instagram! 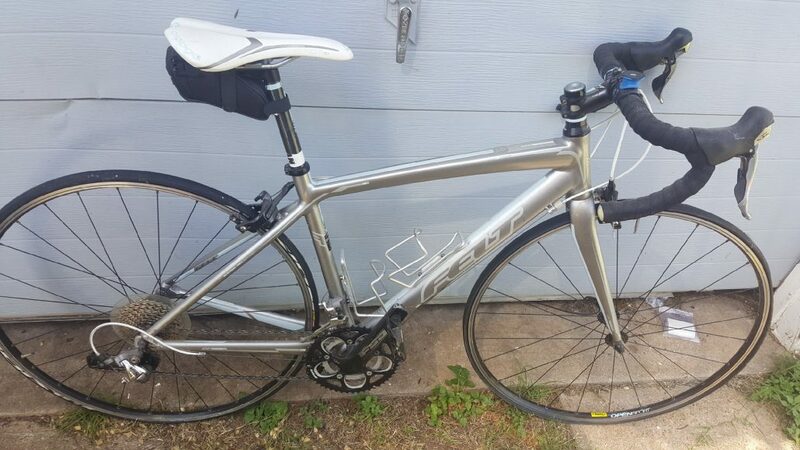 I got my first real bike (silver Felt ZW) in 2013, two weeks after I registered for my first triathlon, the Rookie Tri! I hadn’t ridden a bike in more than 20 years! Getting used to riding was both scary and exhilarating. I dinged it up pretty good when I fell over at a red light and hit a curb. I forgot my feet were clipped in! Three people got out of their cars to check on me and all I wanted them to do was go away. HA! My first bike was a Bianchi Giro 105. I got it in 2001 and remember being able to ride in certain parts of Austin that I wouldn’t even consider riding today! Late last year I decided to train for my first triathlon, Rookie Tri. 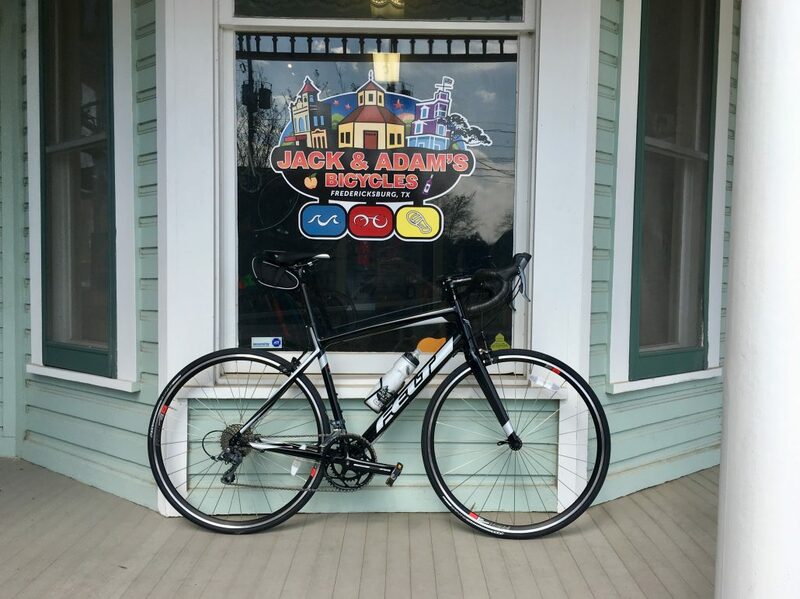 Earlier this year I traveled to Jack and Adam’s Fredericksburg and purchased my first bike, a black FeltZ 100. My first real ride took place on the Veloway. The entire time I kept thinking back to how often we rode bikes as kids. This bike was different that those of my childhood, but the feeling remained the same. Powering your bike, the wind in your face, leaning into turns, it all eventually came back. Now I love riding my bike to work to save on gas and help the environment. Fresh off the rack with zero milage. My first real bike was black with pink and purple stripes. I remember it came with a huge red bow! It was my first bike with gears and hand brakes. I crashed into a huge agave bush on my first ride and got all scratched up. I’m from Corpus Christi and my family and I would go on rides along the seawall. Way back when dinosaurs ruled the Earth… I was just getting started in triathlon and ended up tearing my calf on the run at a race in North Carolina. Prior to that, I was riding a road bike when racing, but I really wanted a tri bike (like the cool). During my recovery I bought a Quintana Roo Kilo as motivation. I counted down the days until I could go out and ride my shiny new toy. 4 QR’s later I still have fond memories of that first race bike. Racing and training with friends led to hundreds of fun miles. Do you have fond memories of your first real bike? Share your story with us on Facebook, Twitter, or Instagram. It finally happened. LIFE. Yes, life happens. Life happened to me and my training for Rooke Tri. I built some nice momentum coming off my mock Rookie Tri championship and that came to a screeching halt. 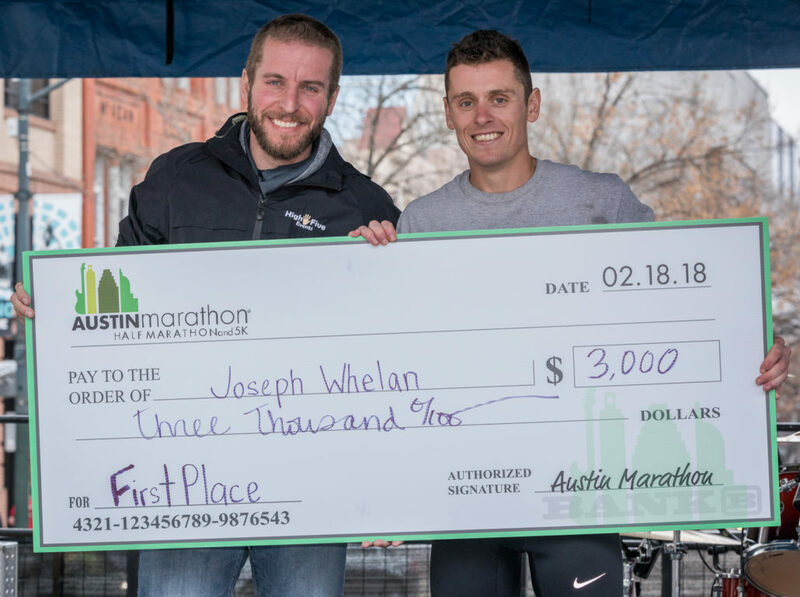 Check presentation with Joey Whelan, 2018 Austin Marathon male champ. My last blog post was on Feb. 3rd. During February, High Five Events produced the 27th Annual Austin Marathon. This year, 15,000 participants registered for four separate events over the course of race weekend. Training quickly took a back seat and eight hour days turned into 13-15 hour days. Endless emails, race weekend/expo planning, social media, interviews, local news requests, elite runners from across the country, RACE WEEKEND, shaking hands, kissing babies, it all comes with the territory. That’s the nature of the beast. I have the best job in the world, but even that won’t prevent life from interfering with your training. Remember: life happens. You might be a Rookie yourself, preparing for your first tri like me. Life happens (personal, kids, work, travel, family, emergencies, etc.). You will miss a workout, or several. Don’t get down on yourself, don’t feel like you need to “make up” for that lost workout. Keep moving forward. Find other ways to remain active, stretch, roll, take care of your body. Control what you can control. In the weeks leading up to the race, I made sure to eat as best as I could, stay hydrated, roll and stretch, and walk/ride everywhere I could. I continued to utilize my stand up desk. I ran when I could sneak away. Barny (my coach) was well-aware of the situation (he ran the Austin Half Marathon) and told me to focus on work and get in workouts if I could. Reminder – we have 90 days until the Rookie Tri on May 6th; Barny’s Rookie-only offer still stands. Contact him today and tell him you want the Rookie rate! When I arrived at Jack and Adam’s Fredericksburg. I bought my first bike! It’s a black Felt Z100 (name TBD). 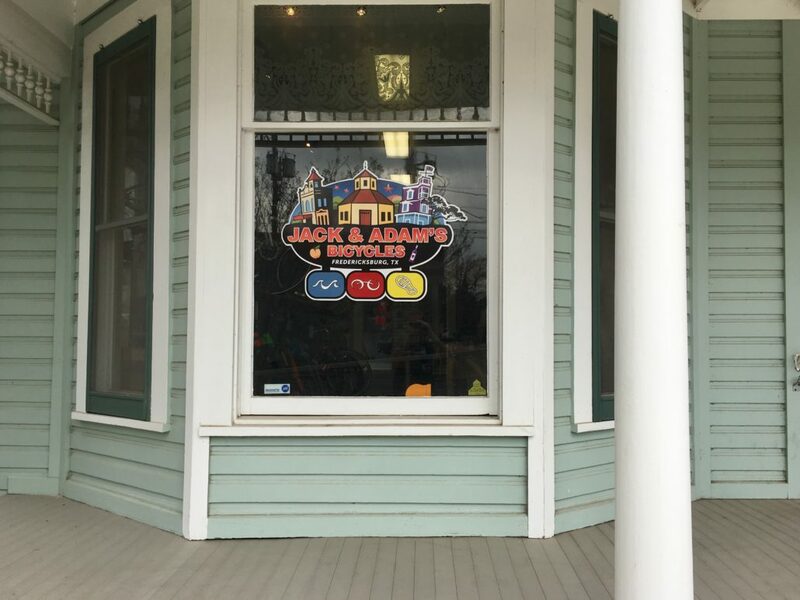 I traveled to Fredericksburg to visit Josh at Jack and Adam’s Fredericksburg. As I mentioned in my first blog, research would play a role in my journey. I like to know what I’m getting myself into. But be careful, you can go down many rabbit holes. Fortunately, I’ve worked with Josh before and he’s knowledgeable about bikes and what folks need, especially first-timers. We emailed several times, I told him what I was looking for and my budget, and he went to work locating the perfect bike. He found it. I went to pick it up and was blown away by the customer service. When I arrived, I didn’t just pick up the bike and leave; I “tried on” the bike like I was getting fitted for new shoes. We actually switched bikes from what he originally picked out, size 58, to a slightly smaller one, size 56. It doesn’t sound like much, but I actually felt the size difference on the bike. If you’re out bike shopping, know that you don’t just get a bike. You need several other items as well: a helmet (! ), good lock (if you commute), front and back lights (for safety), water bottles, flat kit (sounds like fun), and a pump (if you don’t have one). You can get other items if you want, gloves, bikes shorts, clothing, sunglasses, etc. I recommend getting what you absolutely need and going from there. You can always get more stuff down the road. Tomorrow (3/8), I’m taking my bike for a ride on the Veloway for an hour. Let’s see what this baby can do! Big thanks to Josh! When I departed Jack and Adam’s Fredericksburg.